RComm May Soon Acquire Aircel, Will Become 2nd Largest! 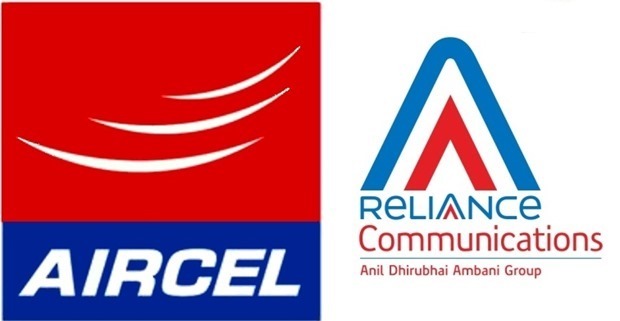 Reports have emerged that Anil Ambani led Reliance Communication may soon acquire Aircel, which is controlled by Malaysia based Maxis Communication. This merger will create India’s 2nd largest telecom behemoth, replacing Vodafone which is right now India’s second biggest telecom player after Bharti Airtel. As of September 2015, Reliance Communication was ranked #5 in India with 11 crore subscribers, while Aircel was ranked #5 with 8.4 crore subscribers. After they merge, their combined user base will surpass 19.4 crore users, thereby overtaking Vodafone India which has 18.8 crore subscribers. Reliance Communication has confirmed about possible merger talks, as the company has now entered 90-day exclusivity period for further discussion and working out the financial details. As per available reports, this consolidation is aimed at reaping ‘substantial’ benefits by combining operating expenditure (opex) and capital expenditure (capex) of two companies, and to increase revenues. Once the deal is confirmed, a new entity would be formed, merging the assets and liabilities of both the companies. Shareholders of Reliance Communication can receive free shares of this new entity, as a bonus. Reliance Communication has already agreed to buy Russian conglomerate Sistema’s Indian mobile phone business for Rs. 5000 Cr in an all-stock deal last month. As per confirmed reports, this merger will occur only for wireless business of these two telecom companies. Last month, Reliance Communications had announced their Rs 30,000 crore deal to sell their tower business to Tillman Global Holdings LLC and TPG Asia Inc. The merger talks between Reliance Comm. and Aircel is excluding this tower deal. Reliance Comm. will continue to own and manage their under-sea cable, optical fiber and enterprise business after this deal. Anyways, wireless business for both of these telecom companies is crucial, as India is witnessing an all time high of data usage, which is increasing every day. For Reliance Communication, data brought in 82% of their revenues of Rs 47,000 crore during last quarter which ended in September. With debt of Rs 39,000 crore, Reliance Communication is at a precarious position. And, as per rating agency ICRA, Aircel has combined debt of Rs 19,000 crore. Thus, the total debt of this new entity will be close to Rs 60,000 crore; which can be a cause of concern. The new combined entity will command revenues of Rs 25,000 crore annually & EBITDA (earnings before interest, taxes, depreciation, and amortization) of around Rs 6,000-7,000 crore. Once Reliance Communication, Aircel and MTS merge into one entity, then they will hold 19.3% of overall spectrum allocated to telecom industry; which would be the highest for any telecom player. In fact, Reliance Comm. will now hold spectrum across all bands: 800 Mhz, 900 Mhz, 1800 Mhz, 2100 Mhz and 2300 MHz — for 2G, 3G & 4G services. Reliance Communication and Reliance Jio, owned by Mukesh Ambani has already teamed up to share airwaves for 4G services. In case Reliance Communication and Aircel merger is finalized, then it will certainly create a new order of telecom players in India. "Reliance Communication May Soon Acquire Aircel To Form India’s 2nd Largest Telecom Behemoth", 5 out of 5 based on 1 ratings.